A couple of posts back we focused on interview wear on the blog -- Part 1 and Part 2 focused on the interviewee but gave overall tips for suits and work wear. 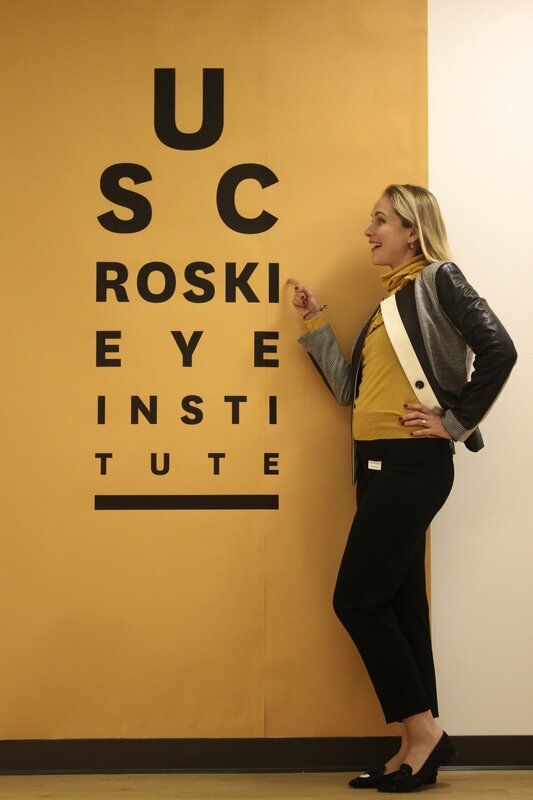 Part 3 will focus on what to wear as the interview-er with my amazing USC Roski Eye Institute colleague Alena Reznik, MD. 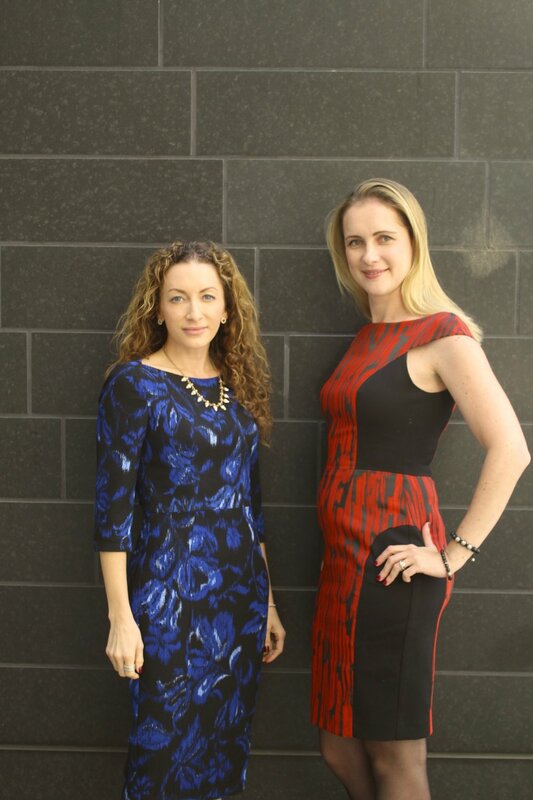 Really though it is meant to give some ideas for what to wear for important professional days whether it be interviewing (self or others), discussing at Grand Rounds, or meeting with your boss! Showing some workplace pride -- either with colors, logo, or your mascot is always a good idea -- but do it in a subtle way! I hope these 3 days with 6 total outfits give you some inspiration to tackle that next big work day feeling confident and prepared! Remember #confidenceissexy and it's also your #bestaccessory. Black and white neutrals with a pop of color keep things professional and not boring. Try an Antonio Melani Blazer (similar) over a white Black Halo sheath (similar) with pink Marion Parke heels (try the Mitchell in pink). Or be bold and pair a mustard turtle neck with a leather S&J blazer and Chiara Ferragni flats. clearly a lot of USC pride today in black and Trojan red. I am wearing a two-toned crepe Jackie O (old, try any of these) with a herve leger knit ruffle jacket (last season, sold out without a similar piece) and Chanel mini heels. This look was perfect for drinks out at Takami LA as well. Alena chose to pair a red skirt with a simple black longsleeve cotton shirt and her USC silk scarf. Day 3 started with a double dose of Black Halo Sample dresses in a bold print. Here is a similar floral and 3/4 sleeve dress (and another). Alena's dress isn't available anymore but was also a stunning red and black patterned from Black Halo - they have so many cute options right now! and if you like my accessories check out the sparkle blog about my first Rocks box, Enjoy all of these tips!